There are more easygoing introductory MMO experiences out there than the one offered by Guild Wars 2. You can find them in games like Club Penguin and Free Realms. They’re not that much mellower, though. And before you Guild Wars fans bristle at the association, rest assured there’s not a stitch of negativity in the comparison. The rub here is that Guild Wars 2 does ease newcomers into the experience, but good-natured teasing aside, the way it does so is so beautifully streamlined that you always feel encouragement and support instead of pedant hand-holding. Bits of interface are skillfully explained by condensed and ephemeral tooltips, skills are previewed right before gaining them and placed in toolbars automatically in an order that makes sense. Guild Wars 2 feels wants you to have a good time because you’re new to game, not in spite of it. Perhaps the most important aspect of Guild Wars 2’s red carpet experience is, however, the opportunity to experience an epic Boss takedown in the first fifteen minutes since creating your character. When it comes time for the inevitable refresh of the MMO landscape, this is exactly what everyone will be ripping off. There never was a good reason for all the cool content to be locked away behind walls of rank and difficulty and it’s a bit baffling that it took this long for developers to figure out that letting people do amazing stuff early on will make them want to play more. 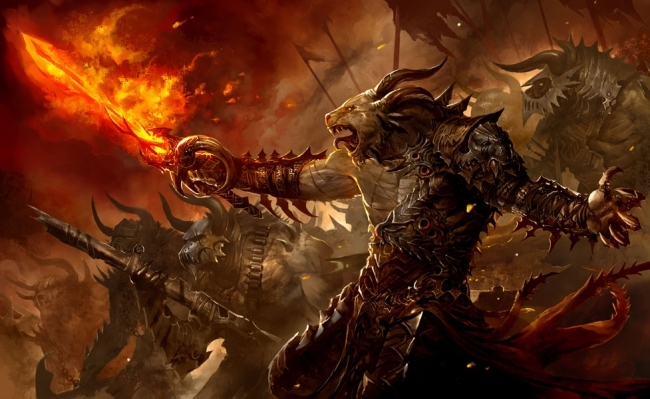 Guild Wars 2 looks to be a unique species of MMO that cares about its player’s enjoyment for the entire duration of gameplay and if only for that reason, ArenaNet’s second major entry in the franchise definitely stands out in a crowd.